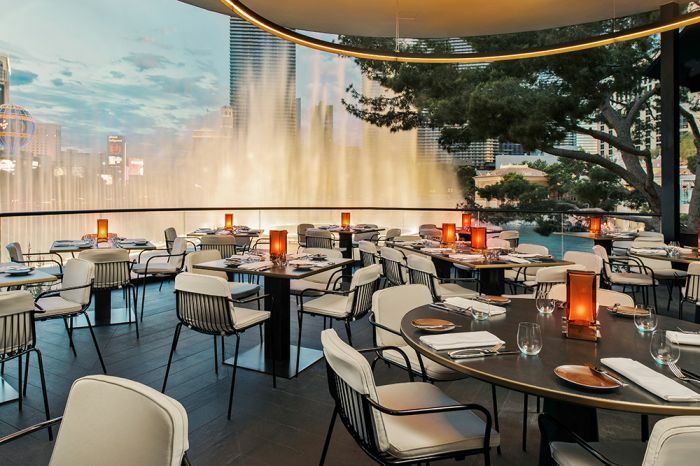 The dancing waters of The Bellagio are a perfect backdrop for the new Spago by Wolfgang Puck. 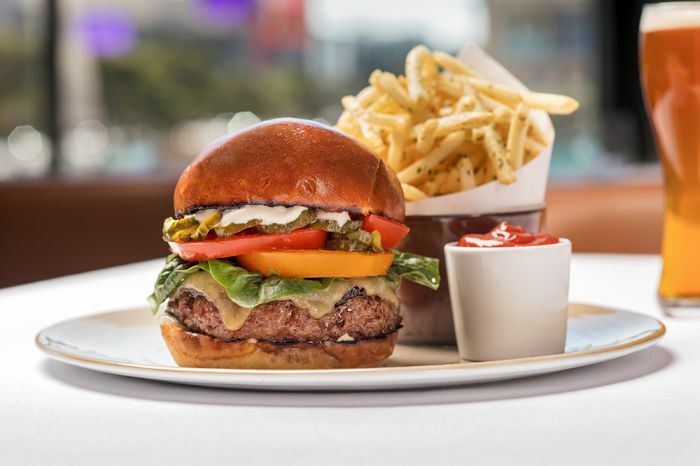 Previously in the Forum Shops at Caesar’s Palace, the new restaurant is bright and airy, light in tone and fare. 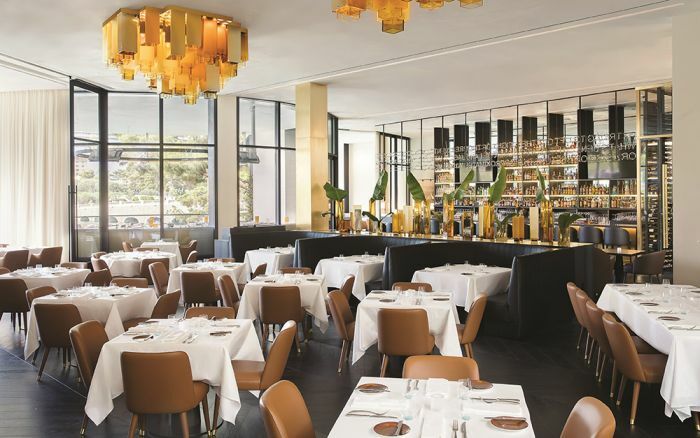 While at Spago, we were delighted to see Wolfgang Puck at the next table, enjoying a Wild Mushroom Pizza. 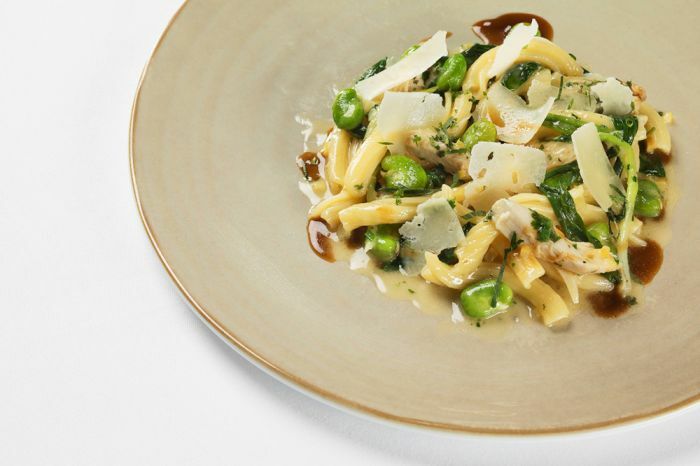 The seasonal new American fare is delightful; whether enjoying a lite lunch or perfectly paired dinner, the inventive yet unpretentious flavors come through every dish. The Grilled Prime Beef Burger with Vermont Cheddar, Garlic Aioli, Balsamic Onion Marmalade is nothing short of a symphony of flavors, the marmalade bringing it all together for an unexpected flavor punch into an already delicious burger. My dining companion enjoyed a Dry Aged Ribeye Steak Salad with Market Vegetables and Black Peppercorn Ranch. We both all but licked the plates clean. Not a dessert-at-lunch diner myself, I did have the opportunity to indulge in the Spiked Lemon—a lemon-shaped dessert that is cracked open at the table, revealing Japanese Yuzu cream, Chiffon Cake and Citrus Mousse, topped with micro basil leaves, edible gold and crispy meringue. And it’s gluten-free. 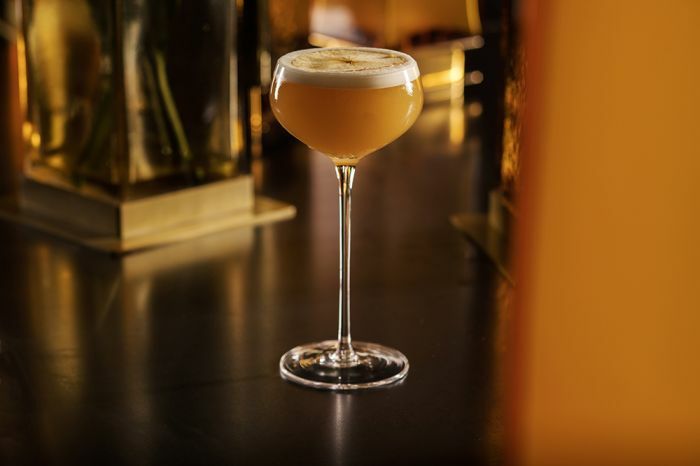 Something most restaurants and hotels boast is outstanding service—but as a luxury sites and services writer who dines out for almost every meal and around the globe, I was especially struck by our waitress, Joy. Knowledgeable about the menu, culinary team, history of the restaurant (she had previously been at Todd English’s OLiVES in the same space), and process, our long lunch turned into an experience I won’t soon forget in Vegas as it was so positive and tranquil, almost like being invited to a friend’s house to enjoy some wonderful ambiance and cuisine. She also was the one to suggest the Spiked Lemon against my protests, so extra points there, Joy. Modern art adorns the walls and soaring ceilings add to the airy experience. Outside, the patio overlooks the Bellagio Lake and music piped in through the restaurant speakers corresponds with the fountain shows. 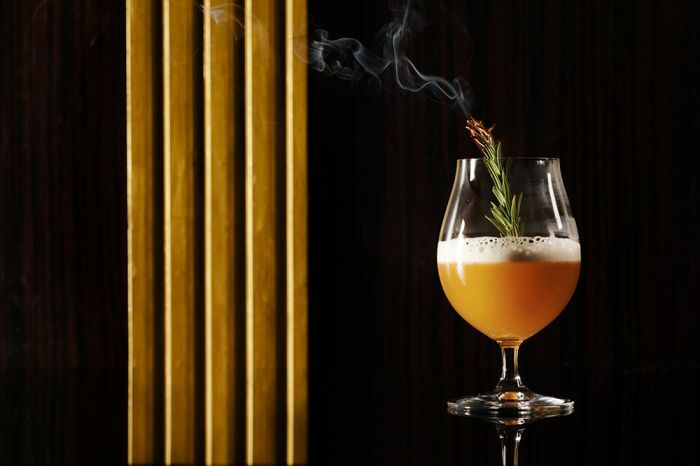 Sophisticated and appropriate, the décor matches the elevated dining experience. 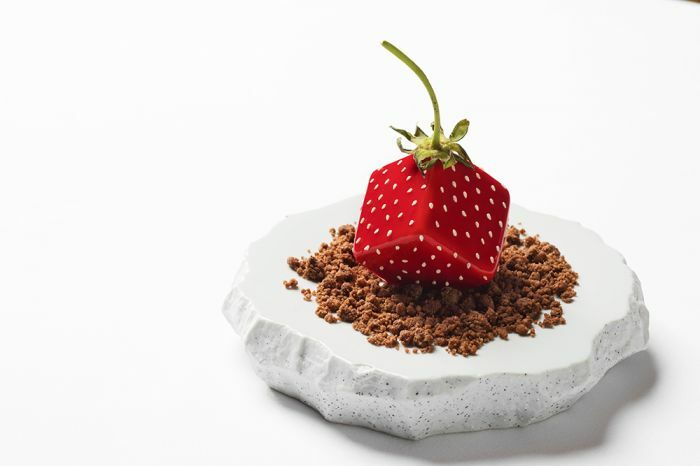 Inventive dishes pepper the menu at Spago. 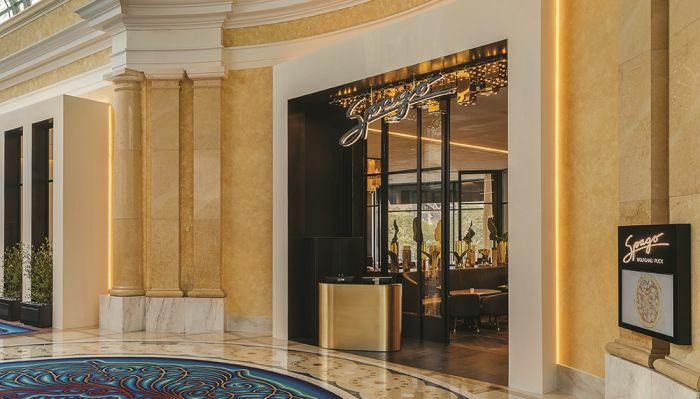 Entrance to Spago within the Bellagio. 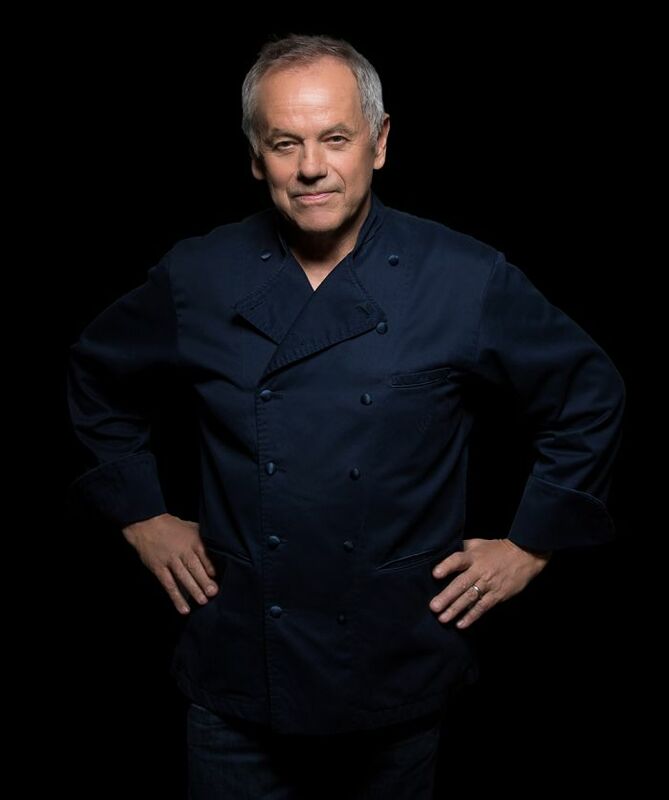 Wolfgang Puck, the visionary behind Spago.